Nigerian Biography: Biography of Gloria Ume-Ezeoke, Presenter, Channels Television. Biography of Gloria Ume-Ezeoke, Presenter, Channels Television. 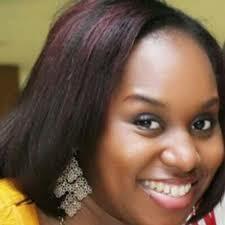 Gloria Ume-Ezeoke is a news presenter, reporter and host of the weekly programme Dateline Abuja. She is married. when she worked with the Nigerian Television Authority and Voice of Nigeria, Lagos. She joined Channels Television in 2009, and has anchored programs like Metrofile, Arthouse, Capital Market, M-reporter and currently Dateline Abuja. With a knack for presentation and news stories, she hopes to make a huge impact in the broadcast industry. Gloria loves listening to good music, reading and watching international news stations.